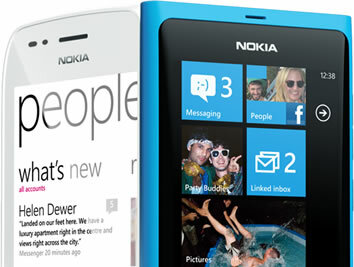 Finnish phone maker Nokia launched their new range topping Lumia 900 smartphone on US shores Easter Sunday, but almost immediately problems began surfacing involving connectivity issues. The company has now addressed these and promises a software update to resolve the bugs by April 16. In a statement titled "putting people first" Nokia said, "Soon after this flagship device began selling, we identified a software issue. In short, a memory management issue was discovered that could, in some cases, lead to loss of data connectivity. This issue is purely in the phone software, and is not related to either phone hardware or the network itself. [...] As a proactive and prudent measure, we decided to take immediate action. We have identified the issue, and have developed a solution." The phone maker's near immediate response to consumer complaints surrounding the new Windows-based smartphone is a breath of fresh air. It's not unusual to see post-launch software glitches in new devices, but the speed in which the criticism has been answered is commendable. Apple in particular has proven time after time the complete opposite by ignoring and denying overwhelmingly bad publicity in the face of launch-related issues with iPhone's and iPad's for example. In order to provide a solution to affected users, Nokia says they will offer every purchaser two options. You can either wait until April 16 for a software update via Zune to resolve the issue, or you can return your Lumia 900 and swap it for a new updated handset. As a further gesture of goodwill and at considerable cost to the firm, Nokia has also announced they will send a $100 credit to customers' AT&T bills for any person who has already purchased the handset, or any that purchase it between now and April 21. So those who wish to go ahead and purchase it before the April 21 deadline can now purchase the new smartphone and receive a full refund on the $99.99 contract purchase price for a limited time, making the deal even more attractive.